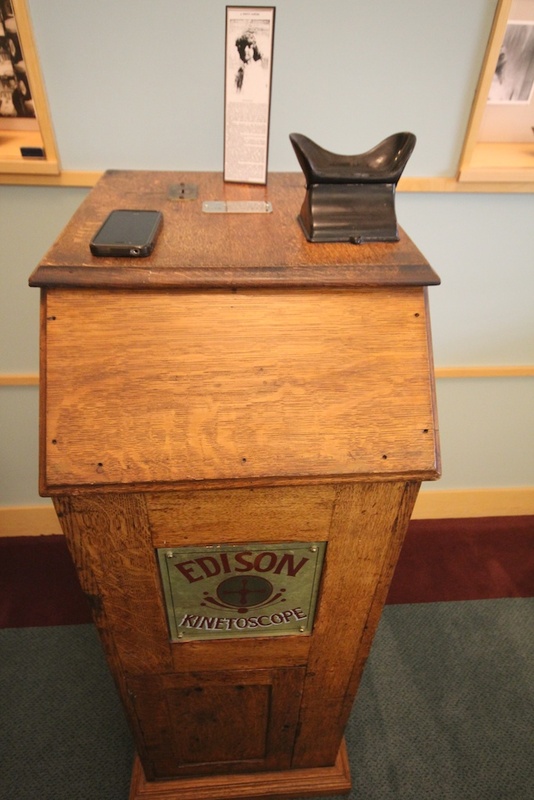 An original Edison Kinetoscope lives in the corner of the Katherine Hepburn Reading Room, where special collections are called up and viewed. To my absolute delight it is fully operational- we inserted a quarter and off it went. Clunk! The library has an impressive cache of primary source Edison material. 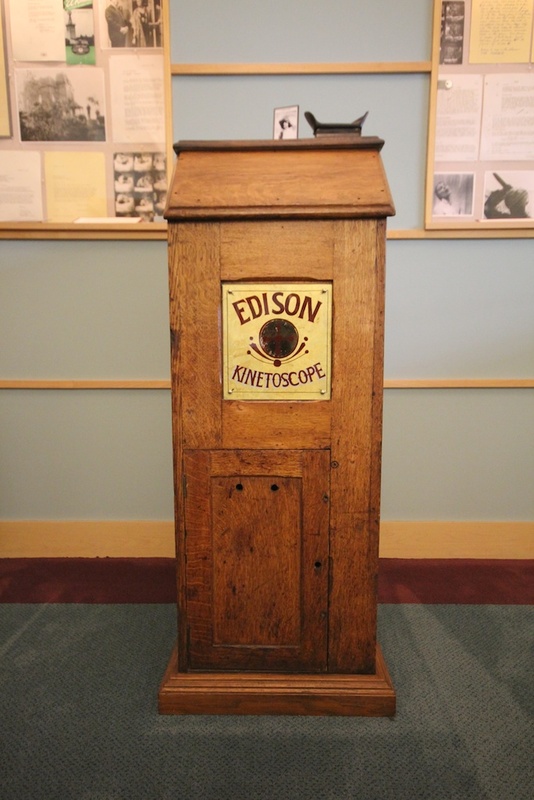 In fact their "Edison's Kinetogram" production house journal counts as some of their rarest holdings. 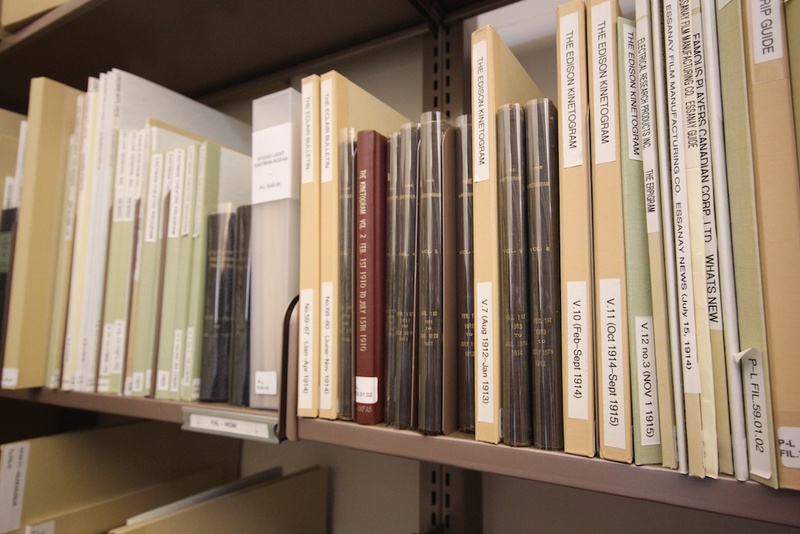 Dated from March 15, 1910, these publications provide a detailed synopsis and in some cases the only photos and info on important early films that are long lost. These publications would go out to distributors for bookings, and technical support, I guess- they also contain the music cues for the piano man. 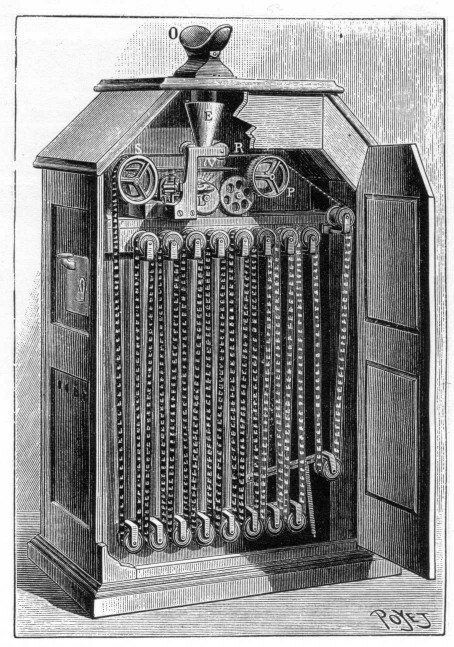 Image: Wikimedia commons via "Who's Who of Victoria Cinema"